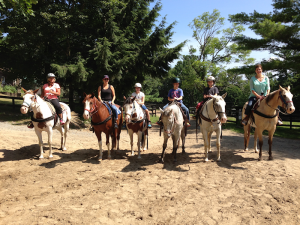 Horseback riding in Lake George! Enjoy riding horses in the beautiful Adirondack Mountains. See everyone next May 2019! Thanks to all of our customers and employees for a great summer. 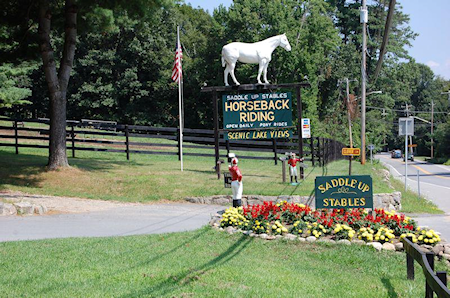 Saddle Up Stables is one of the Oldest and Largest stables in Lake George. 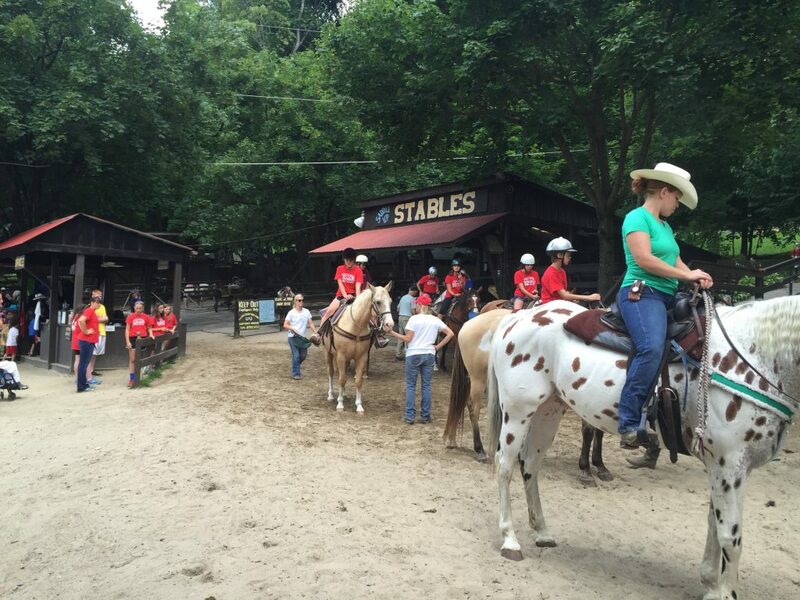 Since 1945, our family has been offering horseback riding to families, summer camps and tourist visiting our area. Many generations of families still come to visit our stable year after year. 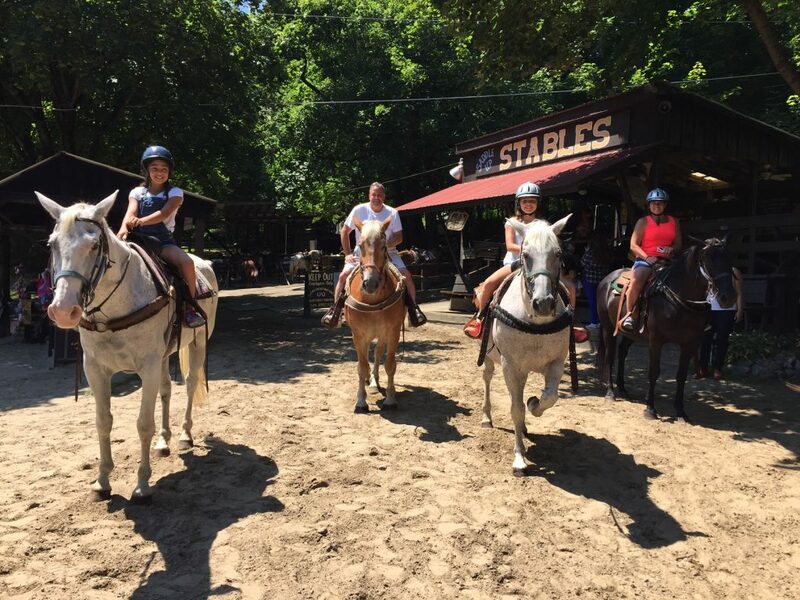 Saddle Up Stables strives to offer the best trail rides and riding experience with our professional staff and friendly service. LARGE SELECTION OF HORSES! Saddle Up Stables has beautiful, healthy and well groomed horses. We do our best to accommodate our visitors of all ages and sizes. Rides leave at anytime from 9am to 5pm daily. Walk-ins are welcome during our business hours; no reservations are needed. Scenic Trail Rides with views overlooking Lake George. Hand led Pony and Horse Rides for any age! Saddle Up is a family tradition! Plan your outdoor activities with horseback riding! Trail Rides take approximately an hour offering scenic views of Lake George. Children must be 50″ tall and 7 years old for the trail ride. Hand led Pony Rides and Horse Rides are available for children of all ages. Long Pants and closed toe shoes recommended. We do not take reservations, unless you have a large group. We ride large groups at our stables. Please email or call to schedule your group. 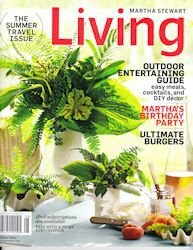 *June or early July is a good time to book large groups or parties. as a place to visit!